Explore exquisite artworks at Mattancherry Palace, a palace with a humble exterior that contains fine examples of Hindu temple art, ornate wood carving, and traditional Kerala flooring. The Portuguese constructed the palace and presented it to the Raja of Kochi around 1555 as a goodwill gesture after their forces plundered a nearby temple. Renovated and extended by the Dutch just over 100 years later, the austere exterior gives nothing of its contents away. Step inside to see the palace's well-known collection of art, with many Western-style portraits of the Cochin Rajas, finely created and preserved Hindu murals, and an elegant carved roof. Put Mattancherry Palace into our Kochi (Cochin) journey app and find out what's close by, where to stay, and where to head next. The place has a great feel about it... The seats by the windows offer a great spot to contemplate on times past and present. The murals are truly magnificent but restoration is long due. If the Archeology Dept can undertake good restoration, the place would be the place to be. The pond in the premises needs cleaning. On the whole the rooms inside are neat. Whatever happens don't miss the Krishna Leela Mural. It's pretty naughty. Had a wonderful experience at Dutch palace, revisiting the past. Only worry was that the place was too small, and could have maintained and organised the crowd much better. Many people visit the place without knowing the history, which is really disappointing. Good place overall. One way in and out. So make sure to see each article properly in the palace before tou head out to exit. Well maintained palace. Entry fee is ₹5 for adults. The first floor of the palace is only accessible. Entry to other parts are restricted. Full height windows are provided in each room with seating space on either side, people used to sit there and relax. Lack of basic amenities is a problem. Well maintained Palace, paintings. it closes around 5 pm and entry closes at 4.30 pm. The authorities should extend this and provide basic amenities. Every day, we help thousands of travelers plan great vacations. Here are some tips on how to use your Listing Page to attract more travelers to your business - Mattancherry Palace. Promote your permanent link - https://www.inspirock.com/india/kochi-cochin/mattancherry-palace-a212355055 - on your website, your blog, and social media. 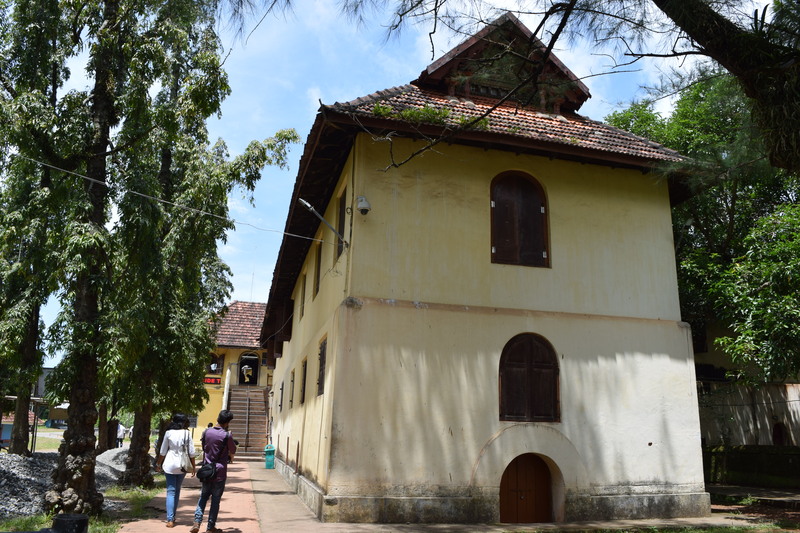 When a traveler builds a plan from this page, the itinerary automatically includes Mattancherry Palace. This is a great way for travelers looking for a great vacation in your city or country to also experience Mattancherry Palace. Promoting your link also lets your audience know that you are featured on a rapidly growing travel site. In addition, the more this page is used, the more we will promote Mattancherry Palace to other Inspirock users. For best results, use the customized Trip Planning Widget for Mattancherry Palace on your website. It has all the advantages mentioned above, plus users to your site can conveniently access it directly on your site. Visitors to your site will appreciate you offering them help with planning their vacation. Setting this up takes just a few minutes - Click here for instructions.